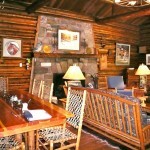 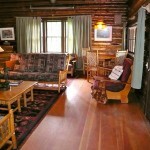 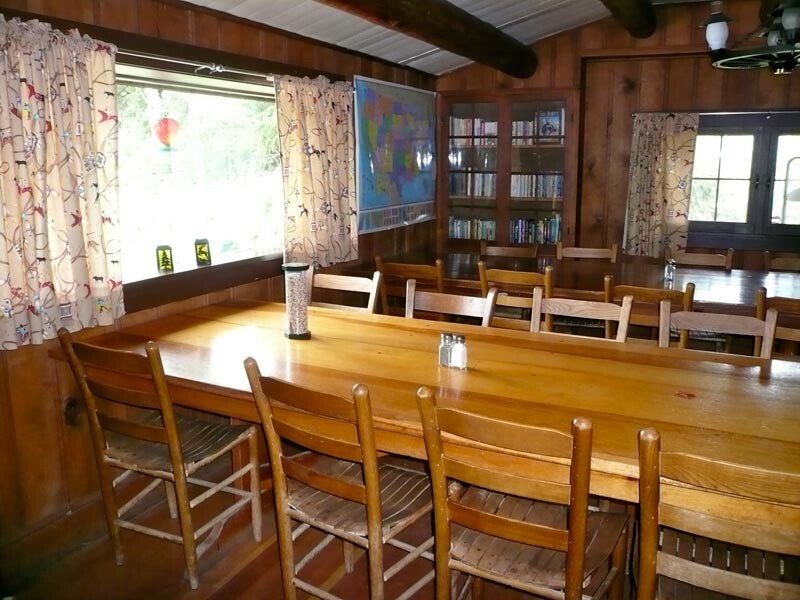 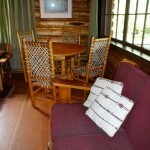 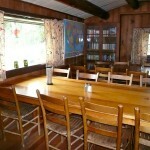 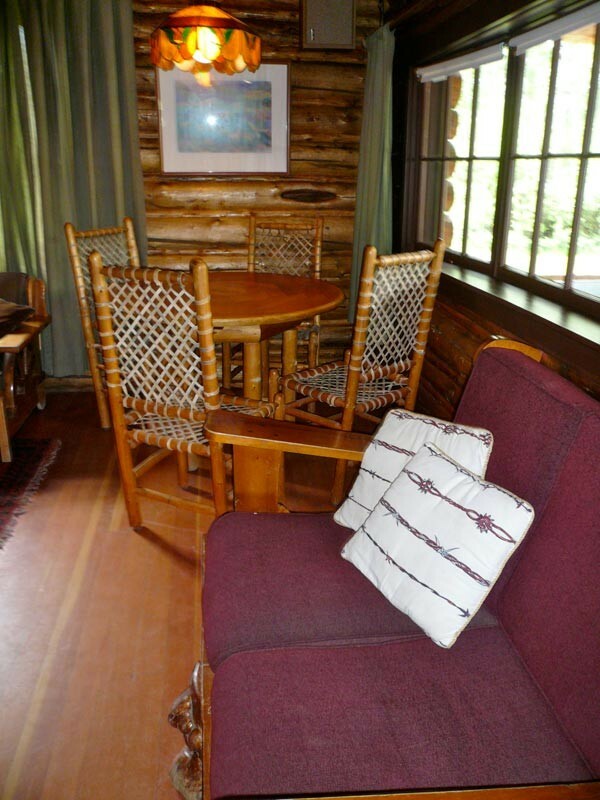 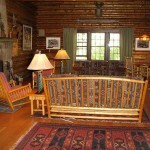 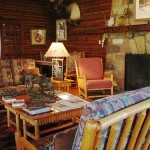 The Main Lodge at our guest ranch is made up of the lodge living room, dining room, and kids dining room. 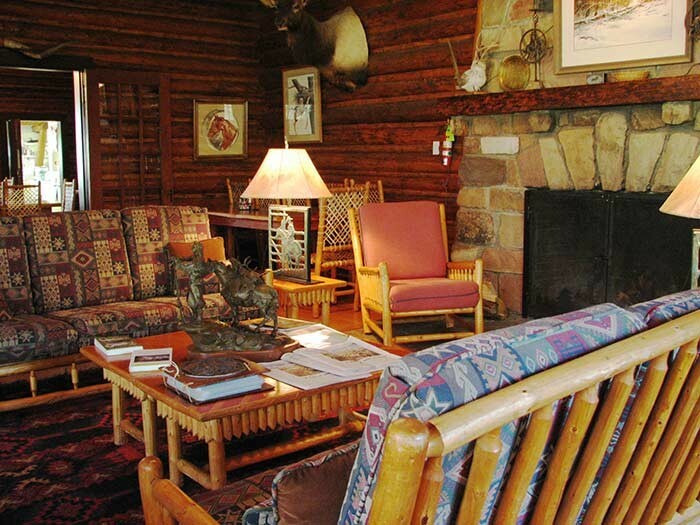 As meal time approaches, guest meander over to the Main Lodge where they enjoy a pre-dinner glass of wine while talking with other guests about their day’s adventures at and around our dude ranch in Jackson Hole, Wyoming. 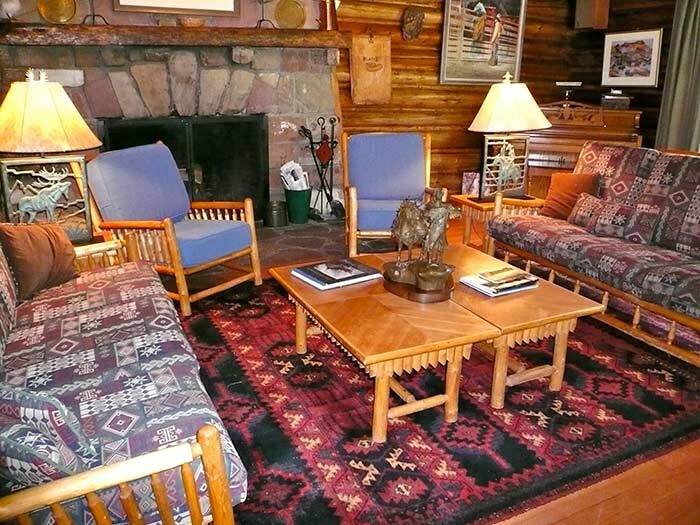 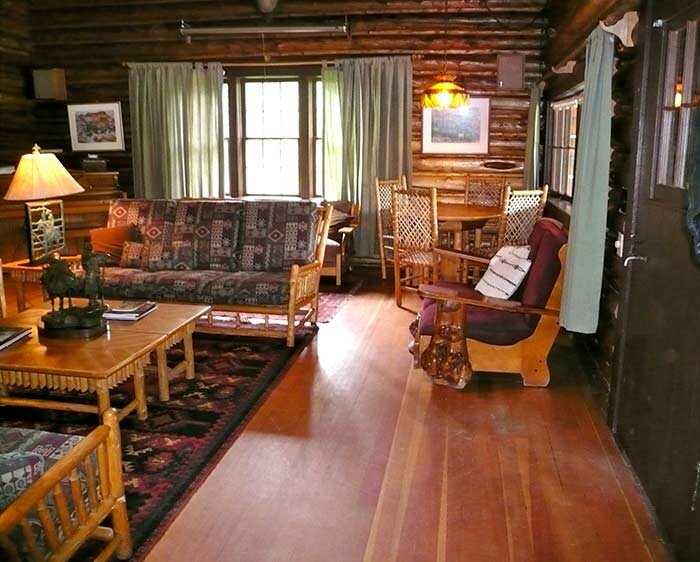 When not enjoying the horseback riding, fishing, hiking and other activities at the ranch, the lodge’s living room is an ideal spot to sit and relax with a good book or visit with new friends. 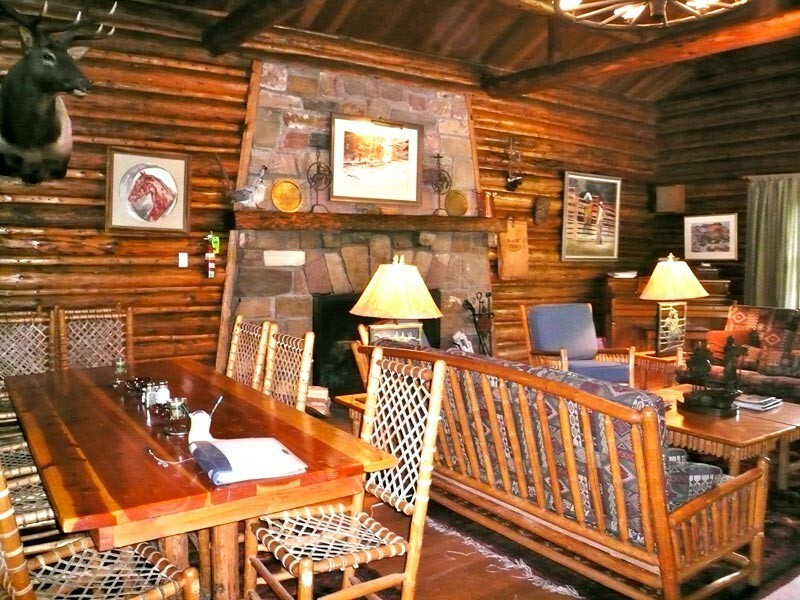 Once the dinner bell rings, guests make their way into their respective dining rooms to enjoy a truly magnificent Western gourmet meal. 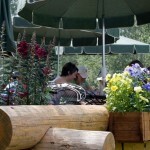 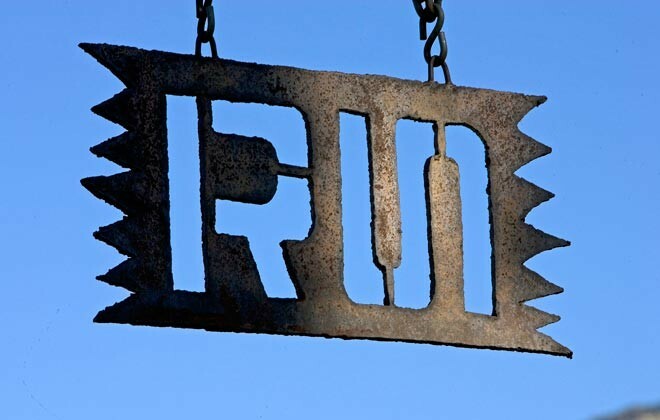 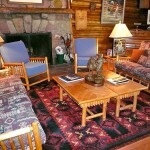 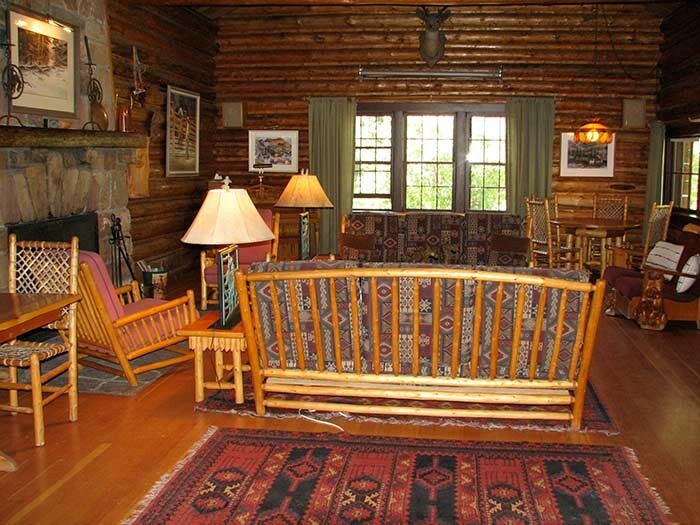 Come relax and refresh yourself at the Main Lodge of our dude ranch in Jackson Hole, Wyoming. 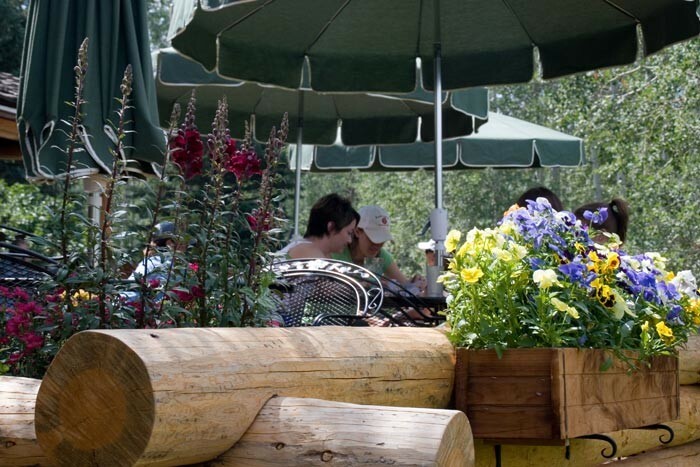 "You wake up to sunlight in the window, the aspen trees or Tetons or the main lodge in the background, and you know it's going to be another great day."